“The time to act is now.” The European Open Science Policy Platform has published a comprehensive set of recommendations for developing open science in Europe. The document gives shape to the emerging open science policy agenda, but also points to the tasks ahead. This becomes even more relevant in the light of Horizon Europe, the next research and innovation framework programme the European Commission announced earlier in June. The mandate of the Open Science Policy Platform (OSPP), which has been running for two years now, is to advise the Commission on how to further develop and practically implement open science policy, to radically improve the quality and impact of European science, support policy formulation and implementation, and to offer best practices for open science. As a stakeholder driven advisory board, representing European universities, research organisations, academies, publishers, funding organisations, libraries, young researchers, open science platforms, and citizen scientists, the OSPP aims at giving advice to the Commission as well as directly to the stakeholders and member states. Its work is closely connected to the other high-level expert groups on the European Open Science Cloud, Next-Generation Metrics, Rewards and Incentives, Education and Skills, and Altmetrics and Rewards who have issued their reports earlier. Working on the assumption that open science can only be successful if it is embedded deeply within all scientific endeavors, the OSPP regards open science not as a distinct form of science but as the future of science. Consistently, many of the recommendations are aiming at a cultural change within the scientific system, assuming that open science can enhance the quality, value, and impact of “curiosity-driven research”. The traditional academic career structure, largely rewarding researchers for their publication output, discourages open science behaviours. It needs to be changed into a system that rewards different forms of outputs and also different career directions. A way to set this change into motion could be giving extra-credits to researchers, projects, and institutions who integrate open science elements in their research. This also requires new forms of research indicators (the OSPP calls “next-generation metrics”) that need to be developed. The main message is that cultural change can only happen with the joint forces of all stakeholders – and with a little help from policy. The third area is training and education: These recommendations are clearly directed towards European Member States, calling upon them to develop curricula for open science training for all levels of their educational systems. Although OSPP-REC does not directly address Horizon Europe, it helps to discuss some important aspects for the development of open science in Europe, especially with regards to science communication and public engagement. As the OSPP states, open science makes research more transparent and accessible to citizens and potentially involves them into research activities. In this vision, open science strengthens the ties and the interplay between science and society. For this, open science practices and skills such co-production of knowledge or community management are crucial. The OSPP identifies scientific institutions like libraries as leaders in developing the relevant coordination and communication infrastructures. Some stakeholders have raised concerns that new forms of public engagement are not strongly enough supported in Horizon Europe. Its budget is divided into three main areas: open science, global challenges/industrial competitiveness, and open innovation. Yet, there’s no specific strand on public engagement like in the former framework programmes. In the past, some successful citizen science projects, like Doing it together Science – DITOs have been funded through the programme “Science with and for Society” (SwafS). The European network of science centres and museums, Ecsite, fears that “science engagement [is] reduced to top down communication” and recommends to maintain a specific strand on Science with and for Society as in Horizon 2020. The OSPP recommendations also point to another direction: to implement new forms of public engagement like citizen science in all strands and areas of science. This mainstreaming of open science requires to include practices of public engagement and science communication broadly. Horizon Europe seems to be moving this way. If the new framework programme actually delivers on this, has to be carefully observed. 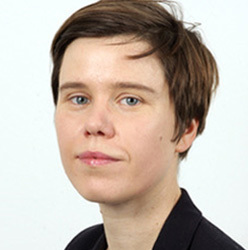 Author: Dr Maike Weisspflug is a political theorist and postdoctoral researcher at the Museum für Naturkunde Berlin. Besides open science, her research interests include citizen science and concepts of nature. You can find her on twitter: @maikeweisspflug.